We boarded our Garuda Indonesia flight to Bali, Indonesia for our family trip! The journey only took 2 hours and we arrived before noon. The airport was in the midst of renovation so it was hotter than usual while waiting to clear immigration! Thankfully the hubby booked our villa's car service so a private driver met us at the arrival gate and sent us directly to the villa without much hassle. 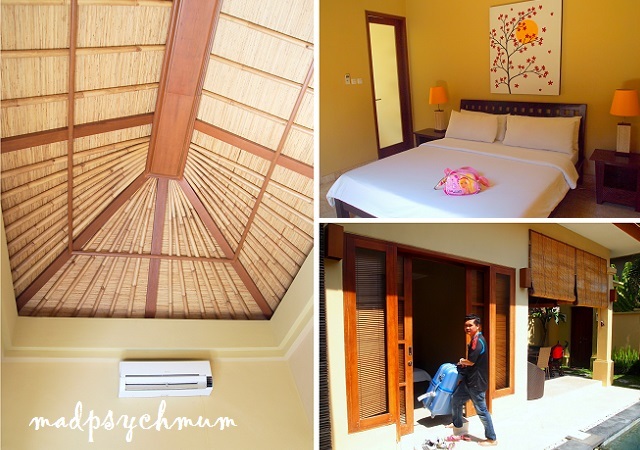 We chose to stay at The Jas Villas at Seminyak because it was close to the main street of Seminyak and was relatively cheap (S$200 per night). 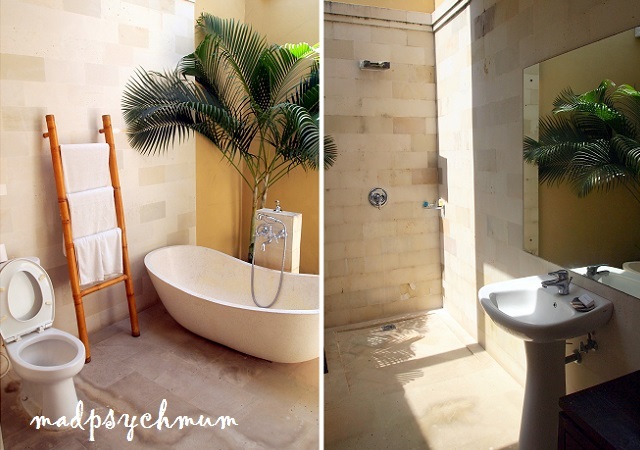 Definitely too big a price to pay for being able to bathe under the stars. A transparent glass ceiling would have been just fine too, thankyouverymuch. Anyway, we were starving so we proceeded to Cafe Bali for our lunch. 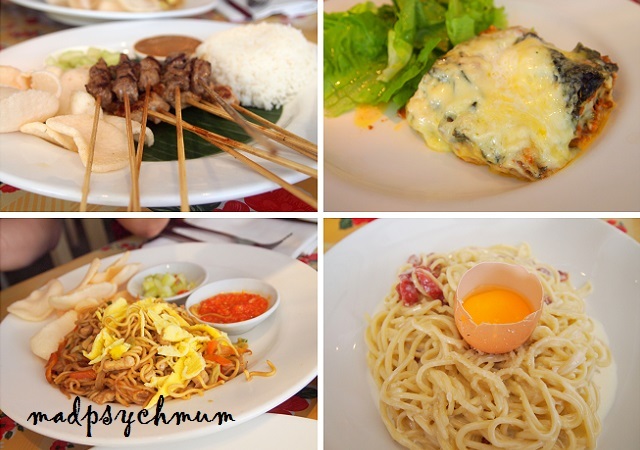 Ironically, although this was Indonesia, the Indonesia style food wasn't as nice as the Western style food! Perhaps it is because Cafe Bali catered mainly to the Caucasian palate. 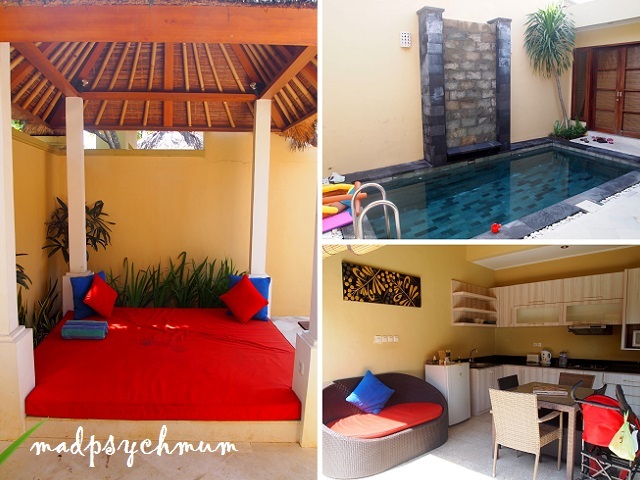 After lunch we spent the rest of the day exploring Seminyak, swimming in our private pool, having dinner and chilling in our villa. The next day, we were served our breakfast (included in the room price) at our room after placing our order with Jas Villas the day before. We were really served like kings! After an awesome breakfast, we had a morning swim before proceeding to the most famous Chinese restaurant in Bali for lunch. 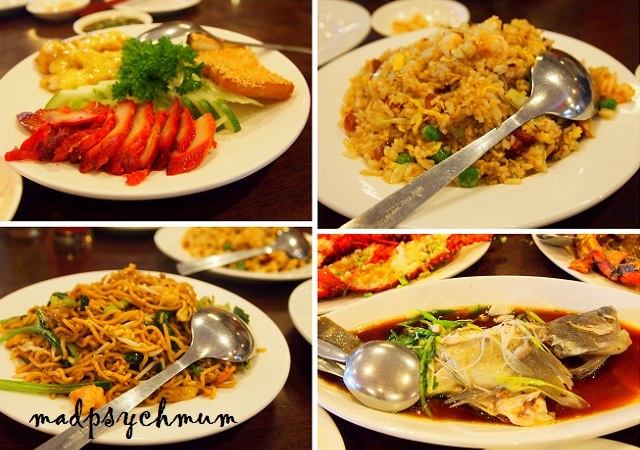 My mum-in-law was thrilled because she really didn't like other kinds of food except for Chinese food. 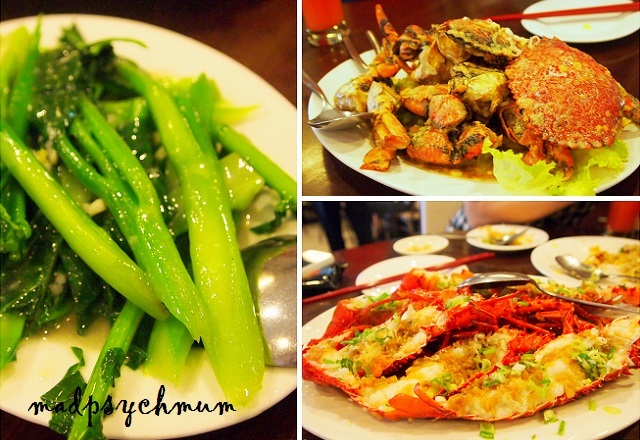 The hubby went wild ordering fish, crabs and lobsters and ended up spending almost S$200! But it was still worth it as we ate sooo much we felt like puking! (Ok, I felt like puking.. 1st trimester nausea and all). After a fulfilling lunch, the bro-in-law and I went to get a haircut (S$12 only! ), after which we decided to have Indonesian food at a this restaurant, which was patronised mainly by the locals. I guessed it must be what the locals ate so we thought we should give it a try. Turns out, their food was really cheap and good. Half a chicken only costs S$1.50 and was super tender! After such a pricey lunch, my thrifty mum-in-law was happy to be able to save some money for dinner *laughs*.